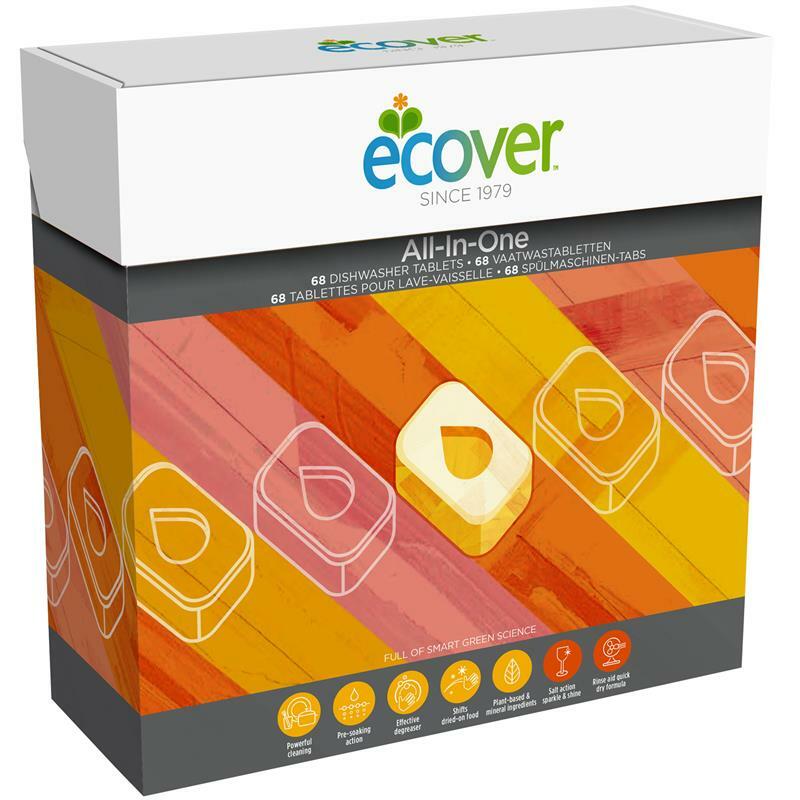 Ecover All In One Dishwasher Tablets - Pack of 68. The Ecover all in one dishwasher tablets provides powerful cleaning with pre-soaking action. It is an effective degreaser which will easily shift dried on food and contains salt action to produce sparkling clean results and rinse aid quick dry formula to leave dishes streak free.